Every director is different. Some are focused on the office-management whereas others know each child and family. But you still want to find out what his or her goals are for the school, the activities and special events she’s planning each year, and the Kindergarten prep seen throughout each grade. Also, how does she scope out the kids who aren’t ready for Kindergarten, and what is the school’s plan for kids who need an extra year? If your child has a birthday close to the Kindergarten cut-off, you might want to look for schools with a transition year, so your child can experience a new classroom, even if they stay in preschool. Spending a few minutes chatting with the teachers can give you valuable insight into their child-rearing philosophies. After all, they will have the most direct connection with your child, and his development. You’ll want to know about school cancelations, how long the school year goes, pick-up and drop-off policies, as well as safety around strangers and allergies. A Holmdel top preschool will allow a last-minute change in who is picking a child up, but also one that focuses on safety. What values do you try to teach the children? What goals do you have for the school in the future? How do you handle a conflict between children? How does your punishment and reward system work? What makes this school different from other preschools? How will I know what happens on a daily basis? How does your curriculum help my child prepare for Kindergarten? How do you work with a child’s individual challenges? The school calendar and your work calendar may not line up exactly. Make sure to check major holidays and common vacation days to ensure there are no surprises. If this preschool isn’t a full-day or doesn’t go year-round, make sure you have a nanny and back-up care in place. Choosing a school inside your local school district will create the best transition to Kindergarten. Make sure to ask the percentage of students who go to the school your child plans on attending after preschool. Your child will feel more confident walking into Kindergarten if they have their group of friends from preschool. Talk to other parents who have had experience with the preschool. Look for message boards and online reviews. Or, ask the director for some phone numbers of currently enrolled parents. They will be able to give you a more accurate take on the whole experience to determine whether it’s a Holmdel top preschool. They might even have a few expert tips to help you in your search. Keep in mind though, what works for one family might not work for another, so don’t be pressured into making the wrong decision. 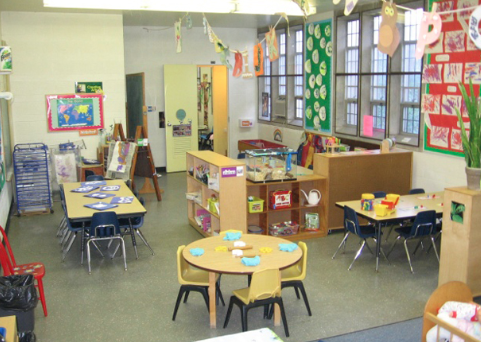 Looking or a Holmdel Top Preschool?